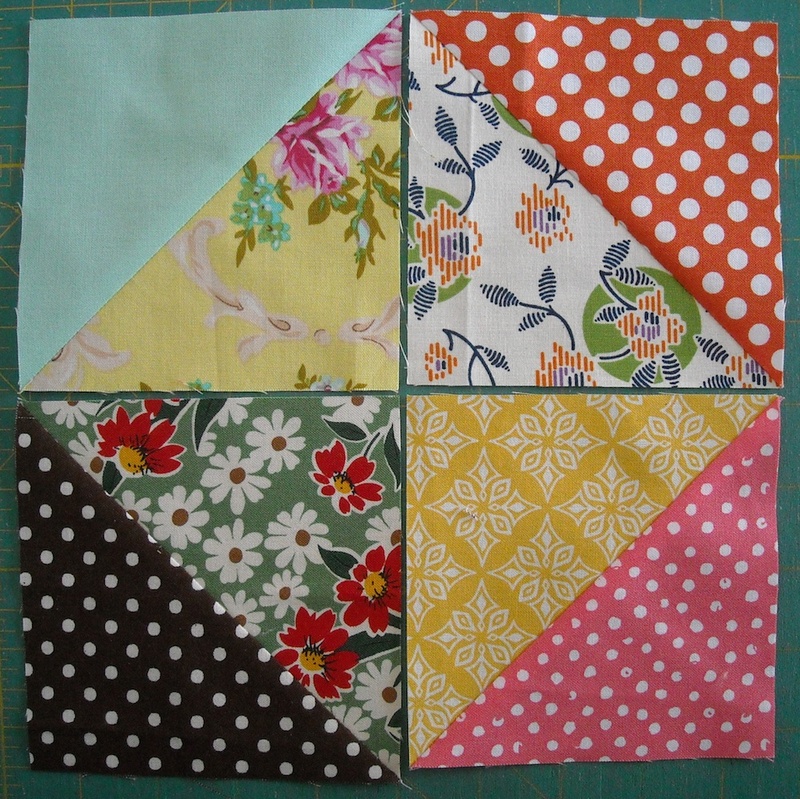 Have you gotten all your half-square triangles made? It’s time to start making blocks! You know what’s gonna be great about these blocks? They’re gonna go together really fast, because you already have all your units made! All you have to do is choose the units you want to use in each block, possibly cut a few background pieces, and put them together — they’re so quick! 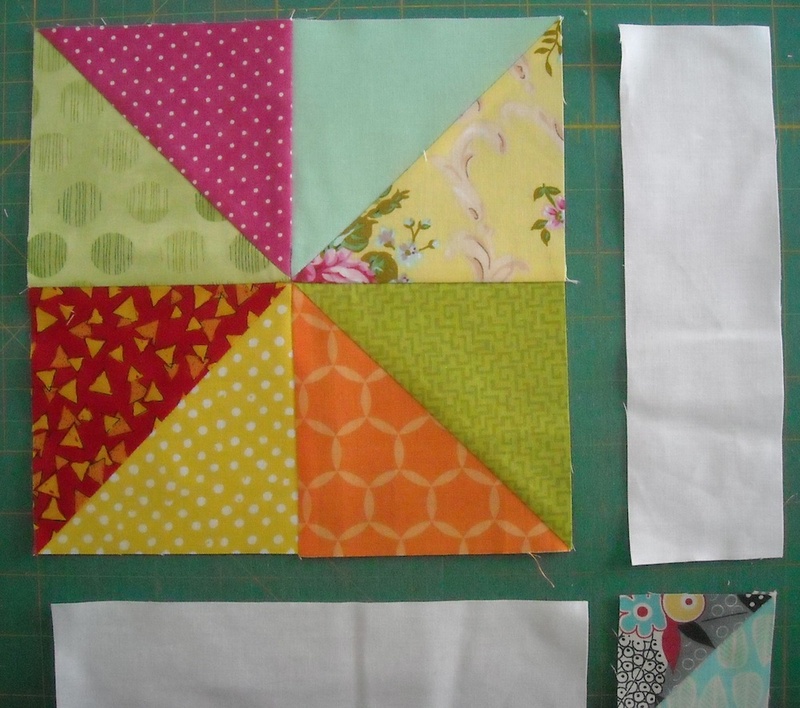 We’re going to make 2 of each block in order to have enough for the entire quilt, but I’m giving the instructions for one block. You’ll just need to repeat it each time for the second block. Also, please read all the way through because layout options are presented, and you can make some design choices of your own before you sew your units together. 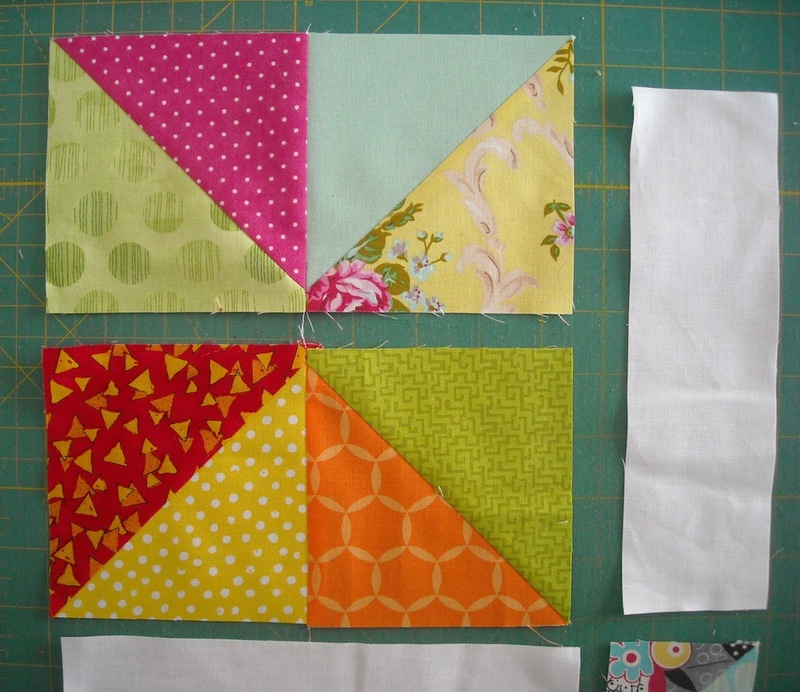 We’re all making the same quilt, but they’re all gonna end up different! So . . . Are you ready? 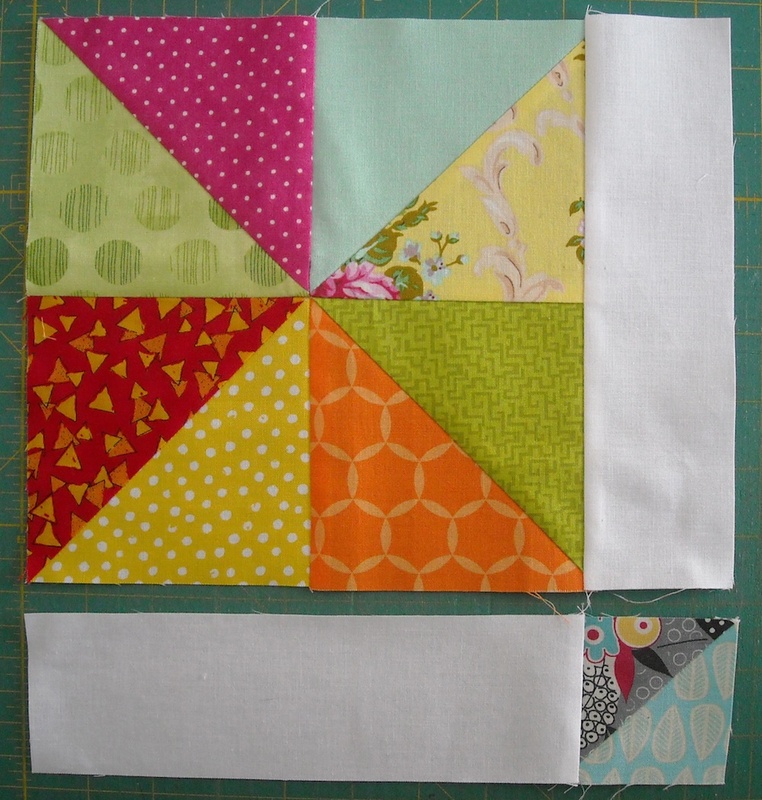 Sew the background strip to the right edge of the half-square triangle unit. 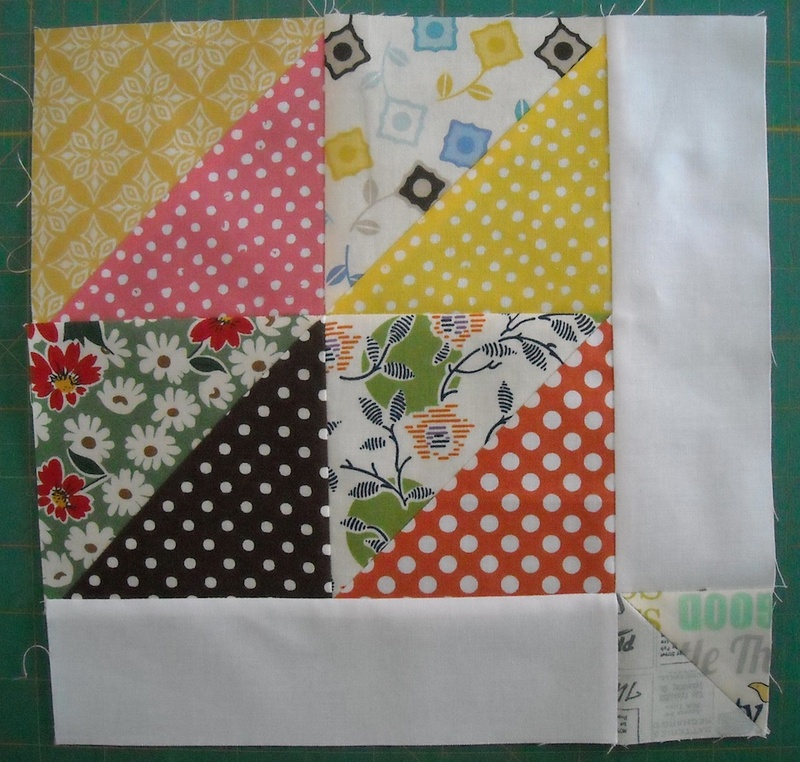 Sew the 2″ unit to the end of the other background strip. Press seams toward the background strips. 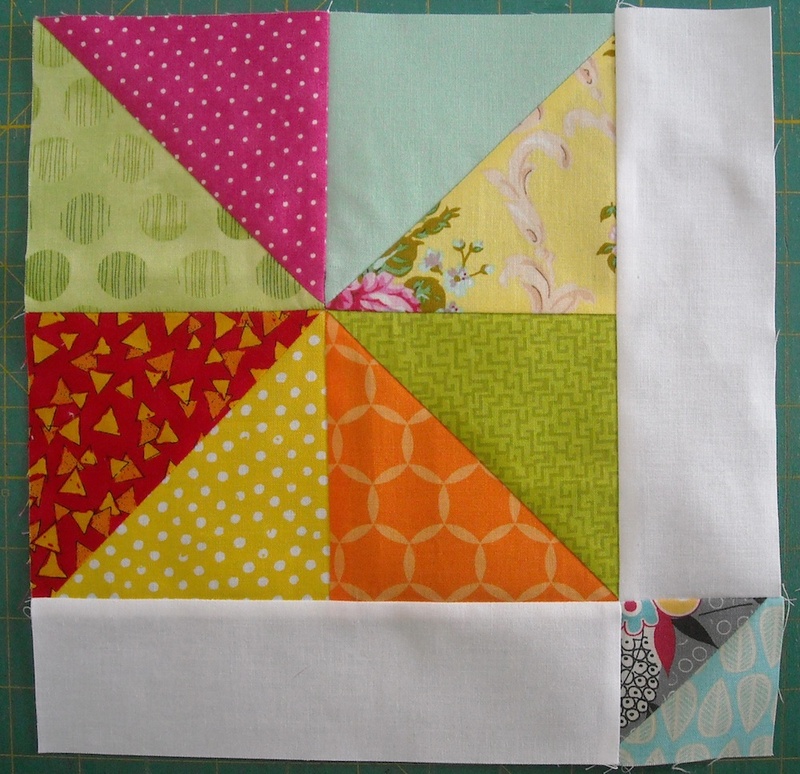 Sew these two sections together, and your block is finished! For my second block, I arranged my half-square triangles differently. You can do this, too. This way, it looks like two different blocks, but really, it isn’t! Just play around with your triangle units, and arrange them to suit yourself. 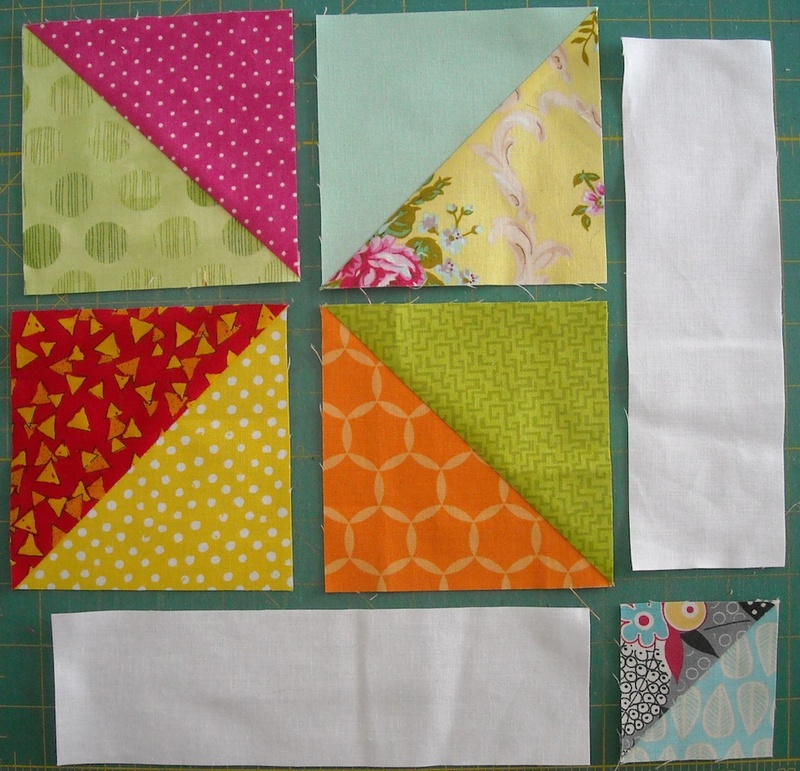 Here are my two finished blocks — same block, but they look different because of the way I arranged my units. So have fun, and I’ll be back Wednesday with Block 2!